Ryan McDaniels is a trial attorney, whose practice focuses on employment law, personal injury, business litigation, real estate and general litigation matters. Throughout his career, Ryan has successfully handled cases before administrative panels, state circuit courts, federal district courts and Missouri appellate courts. Ryan has experience in every step of the litigation process. Ryan grew up in St. Peters, Missouri. After graduating from Fort Zumwalt South High School in 2003, he attended Truman State University. At Truman, he received a Baccalaureate of Arts degree in Political Science with a minor in Justice Systems. Ryan was selected as Truman's "Outstanding Undergraduate Student in Political Science" for 2007. After graduation Ryan entered law school at the University of Missouri-Columbia. He graduated from law school in May of 2010. 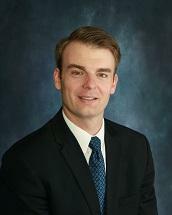 Ryan began his legal career working in general civil litigation at a mid-size Jefferson City law firm. While there, Ryan was recognized as a "Rising Star" by the publication Super Lawyers for the years 2014, 2015, 2016 and 2017. Ryan has represented both plaintiffs and defendants in complex litigation matters. In 2016, Ryan began working for Newman, Comley and Ruth, P.C. where he continues to fight to obtain great results for his clients. Ryan resides in Jefferson City, Missouri with his wife, Molly, and three children, Natalie, Matthew and Andrew. Ryan and Molly are members of the First United Methodist Church in Jefferson City, Missouri. Ryan is active in the community, through membership in the Chamber of Commerce and his work on local charity events.